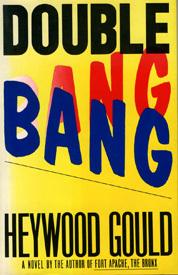 To a hired killer a “double bang” means two hits for the price of one. This is a hard-edged novel about cops and killers, wise guys and not-so-straight straight-shooters. At the center of it all is Dr. Karen Winterman – a beautiful psychoanalyst who falls for a seductive psychopath, who just happens to be a drug addict and her new patient. Breaking the cardinal rule of her profession, she finds herself, in the wake of her lover’s murder, trapped in a series of ever more compromising positions: homicide suspect, hitman’s target, key witness, chief mourner, unwitting victim. Here is a world in which the good guys are just as dangerous as the bad buys, if not more so. No reader will ever forget Detective William Benson and his partner, Vinnie Crow, two cops who bring new meaning to the phrase “police brutality,” and whose involvement with Sally Fish the new wave Mafioso, who snorts cocaine, sports a gold Rolex and talks back to his godfather/uncle, brings about the chain of events in which Karen Winterman, respected therapist and good citizen, becomes the target for a hitman’s second bang.